What do you buy on vacation for souvenirs? We do pressed pennies. We travel a lot and with two kids that can get expensive and honestly how many stuffed animals do I need? About 3 years ago we started with pennies. We became members of the Bronx Zoo and every time we went the kids wanted something. 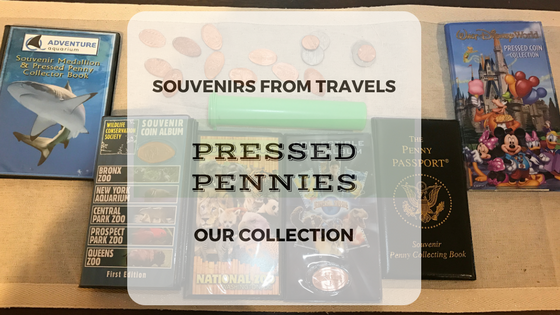 I had noticed the pressed penny machines everywhere, since we would be coming a lot I figured this would the best bet to keep the kids happy, not break the bank and have a cool collection of something. And so it began. A penny collection. We then went to Disney World in 2013, the kids wanted everything! What is a thing to collect while there without spending a lot? Pennies (which technically cost $0.51)!! 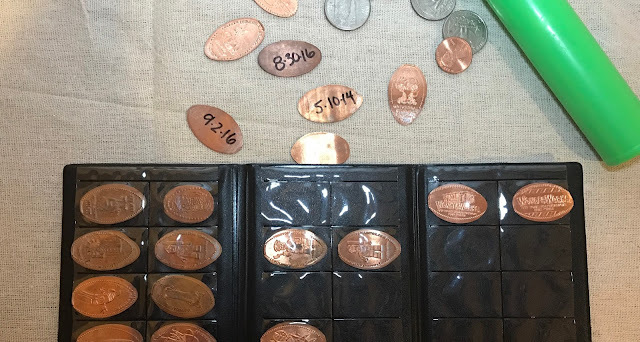 We stuck mostly to pennies but sometimes did quarters while in in Disney. National Zoo in DC was another great penny collecting location. I also use it as a teachable moment, talking about the animal or image on the penny and asking the kids questions about facts too. Everywhere we go now the kids take turns cranking the machine and taking ownership of half the family collection. Typically most gift shops have books for the pennies, the "big purchase" we make. 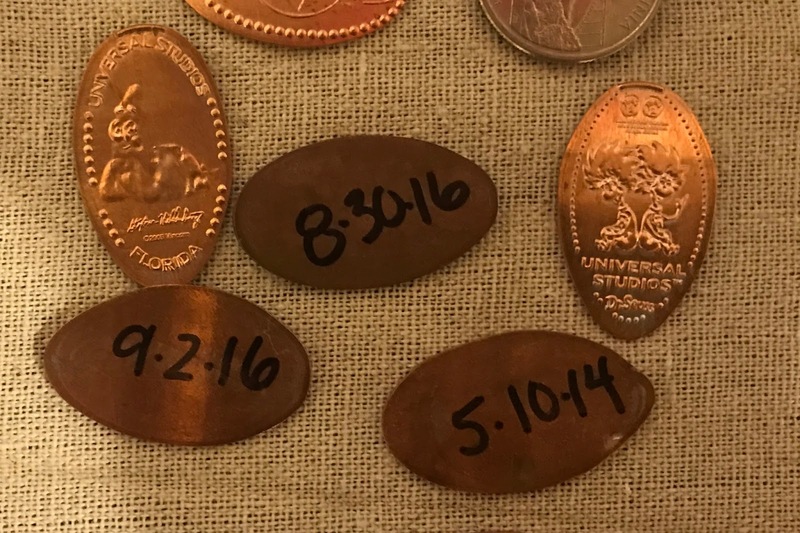 We will date the pennies sometimes to remember when we visited, especially if its a frequented location so we take our time collecting. Recently in Universal Studios Orlando, we also added to our collection with a new book. Smaller attractions and even rest-stops on road trips have pennies. You can go to this website: PennyCollector.com They list all the pennies in locations, we used to this to double check our completed NYC Zoo/Aquarium collection. This stays in my car until filled. This is not a sponsored post, just a great mom tip/hack.